A unique process that begins with attraction. 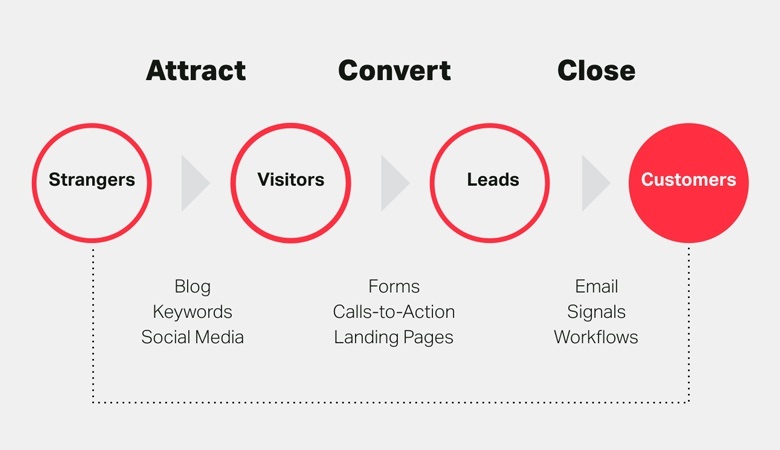 From visitor to client with Inbound Marketing. The passage to getting digital is no longer an option. Every company should not question the investments that are to be done in this matter. Marketing and sales need to increase their synergy to obtain hot contacts that are ready to make a purchase: the classic Outbound strategies based on pressing and interruptive messages have proven to be quite ineffective. The three phases that accompany a user while making a purchase and the best content for each of them. The point of view changes completely with Inbound Marketing: A user and his needs become the core of the communication. The process begins with the search for buyer personas. Thanks to this, we identify real clients easier (rather than ideal ones) and develop accurate and appealing messages that accompany them during the process of purchase. By combining contents and contexts, Inbound is a Customer Experience method that makes it possible to tell a tailor-made story adjusted to the interests of your (future) clients.